Australia’s Minister for Foreign Affairs Julie Bishop will arrive into the country today to visit some cyclone-ravaged areas in the country. This was confirmed by Fiji’s Minister for Foreign Affairs, Ratu Inoke Kubuabola. He said Ms Bishop would be arriving into the country at 1.30pm today and would be briefed on board the HMAS Canberra before visiting Koro Island, which is one of the areas worst hit by Cyclone Winston last month. She will be accompanied by Fiji’s Minister for Agriculture, Rural and Maritime Development and National Disaster Management Inia Seruiratu and Ratu Inoke. 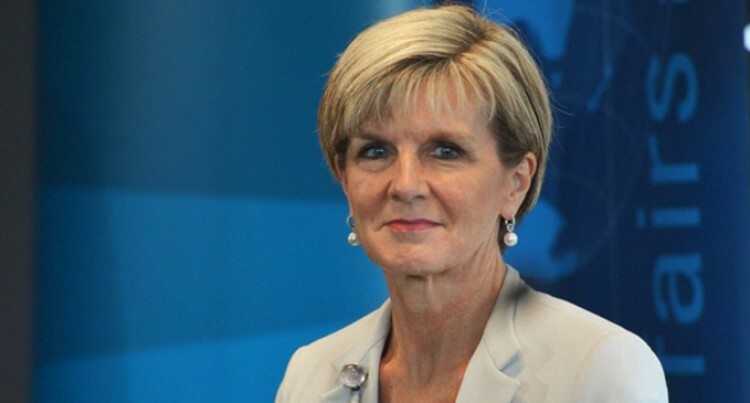 Minister Bishop is also expected to meet with the Prime Minister Voreqe Bainimarama. “She will then travel by chopper to Rakiraki,” Ratu Inoke said. She will return to Australia following her Rakiraki tour. Australia’s Minister for Foreign Affairs Julie BishopFiji’s Minister for Foreign AffairsRatu Inoke Kubuabola.Prime Minister Voreqe Bainimarama.